During the early and middle 1930′s, there virtually was no electric service in rural areas. In 1936, a group of rural citizens from Madison, Tipton and Haywood Counties met in Jackson, Tennessee in order to develop a plan for “getting electricity” for their homes and farms and for those of their neighbors. The business was incorporated on July 1, 1936. A temporary Board of Trustees was elected for the purpose of obtaining a charter for a new electric cooperative from the State of Tennessee. 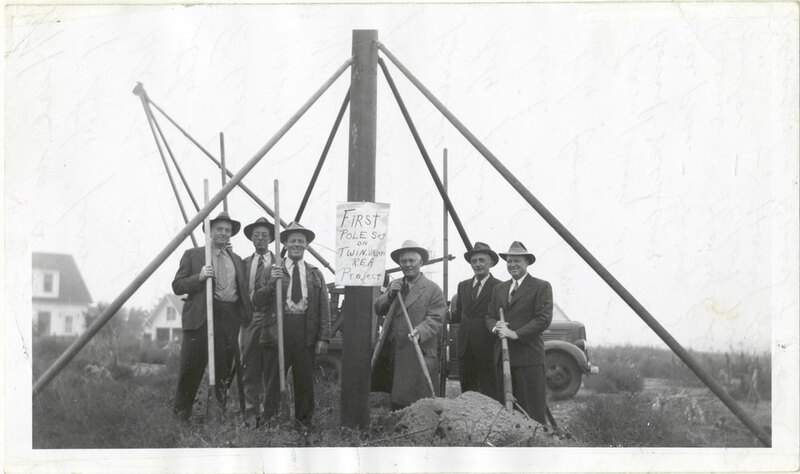 In October of 1936, the charter was received, and shortly thereafter, the fledgling cooperative applied to the Rural Electrification Administration for a loan in the amount of $290,000 to begin construction of electric lines. The first construction contract was awarded in January, 1937. Southwest soon purchased the West Tennessee Power and Light Company, which added 125 miles of line and 1,280 customers. This purchase included Mason, Stanton, Munford, Atoka, Brighton, Covington, Gallaway, Whiteville, Mercer, Pinson and Henderson. Growth was steady until World War II, during which time all materials were in short supply, as was the labor supply. However, growth accelerated rapidly after the war’s end, and has continued at an almost steady pace to the current time.